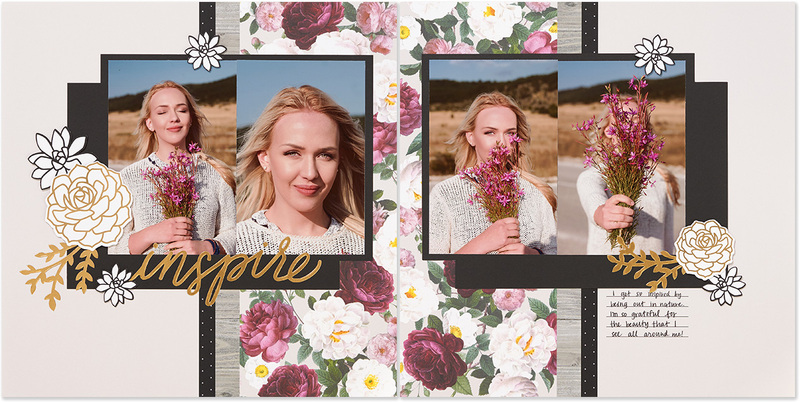 May is National Scrapbooking Month, and to celebrate, we’ve created a whole new Cut Above® layout kit to help you create not one, not two, but FIVE layouts! 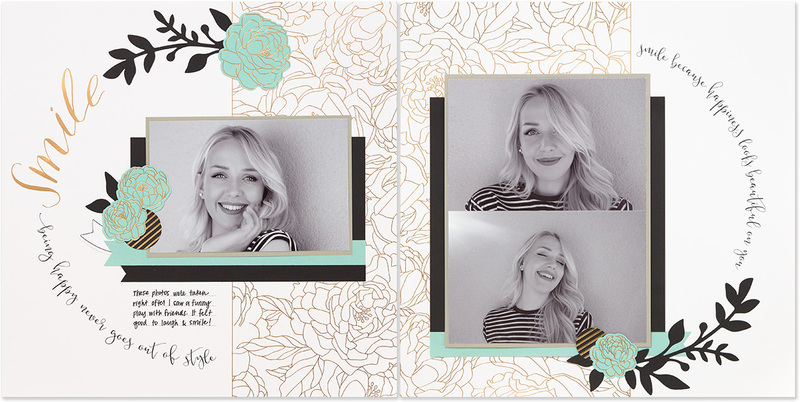 It’s called Live Beautifully, and it is all about living a beautiful life, dreaming big, and inspiring others. 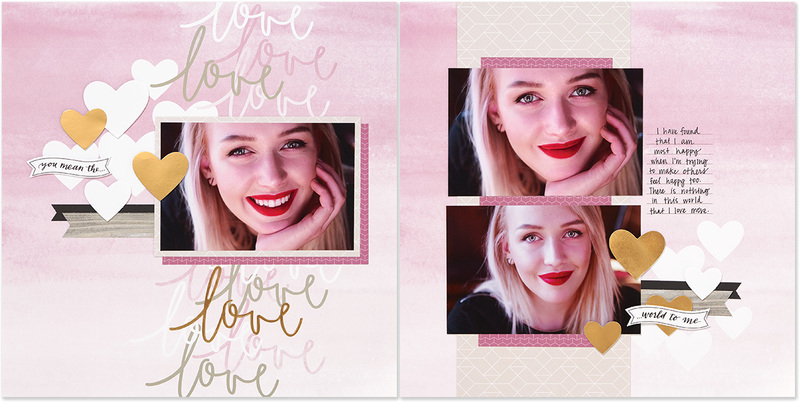 If you’re not familiar with our Cut Above layout kits, you get everything you need to assemble scrapbook layouts in one convenient kit: base pages, pre-cut pieces and die-cuts, stickers, and photo placeholders—all you need is adhesive and a journaling pen! 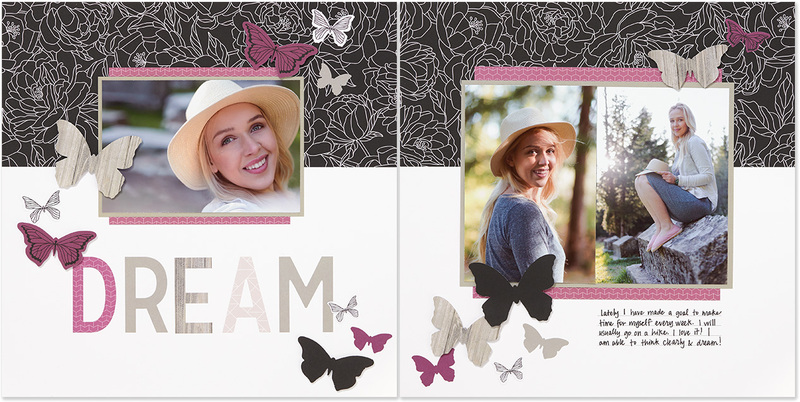 Each of the five layouts in the Live Beautifully kit can be assembled in 15 minutes or less—they’re that easy! 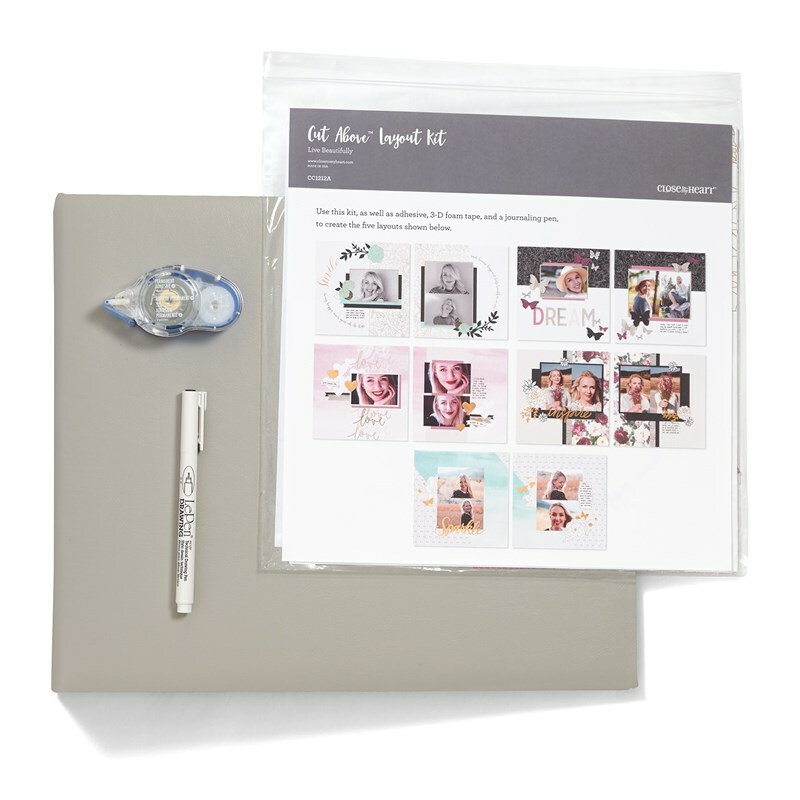 Cut Above is the perfect solution for those who enjoy the art of scrapbooking but are looking for a quicker alternative. 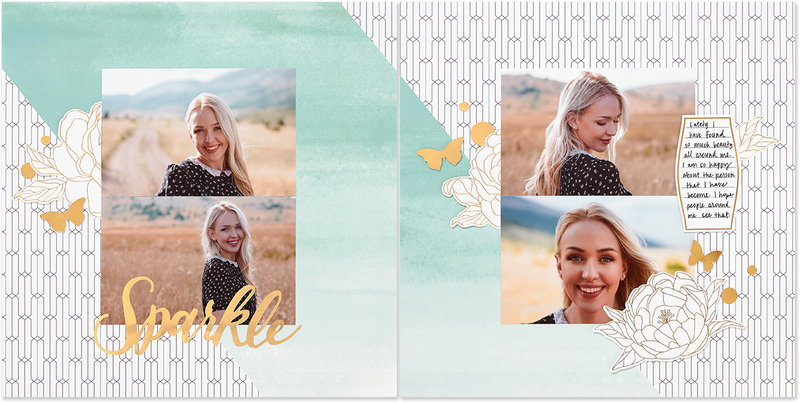 Even if you’re a die-hard decorative scrapbooker who loves to spend hours on a layout, this kit is a great way to catch up on documenting your stories without sacrificing quality. Gorgeous, right? You’d never guess these come together so quickly! The gold foil accents really add a special touch, and if you want, you can pop up pieces with 3-D foam tape to add dimension. 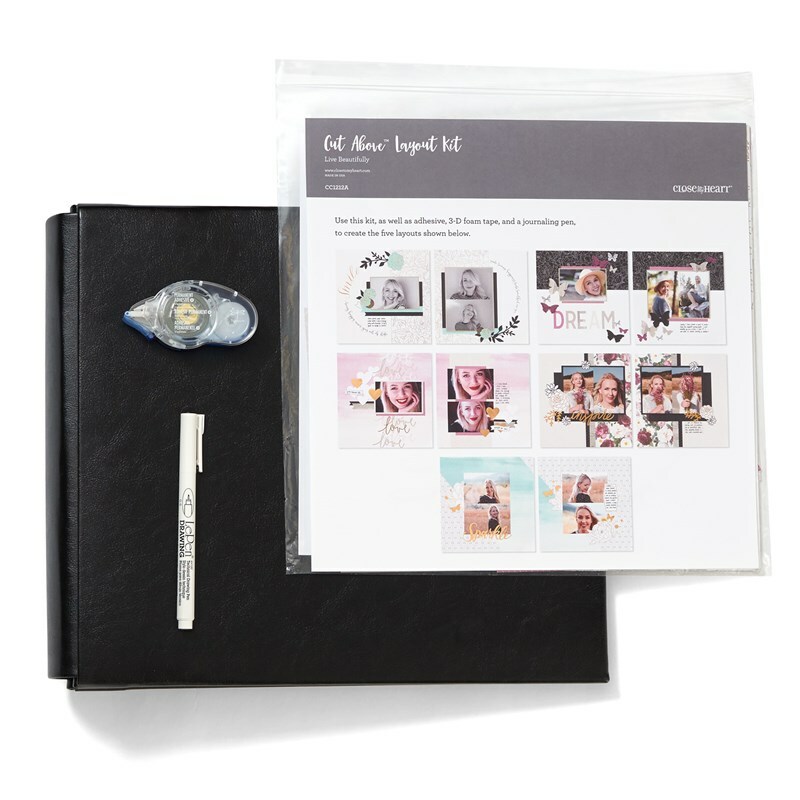 If you want to get this kit at a discount, buy the kit in a bundle with an album, adhesive, and journaling pen—that way you save 20% and you have everything you need to make and store your pages!